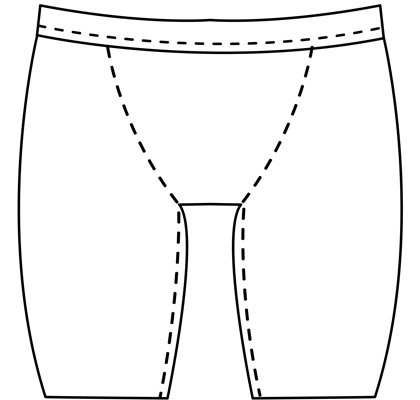 The men's bike short can be worn as underwear, athletic shorts, or as a swimsuit. They are designed to be form fitting. We recommend .35mm gauge sheeting for proper stretch and fit, although other gauges can be used.